Throughout the year, the public service department offers teachers free specific guided tours highlighting the permanent collections and temporary exhibitions. 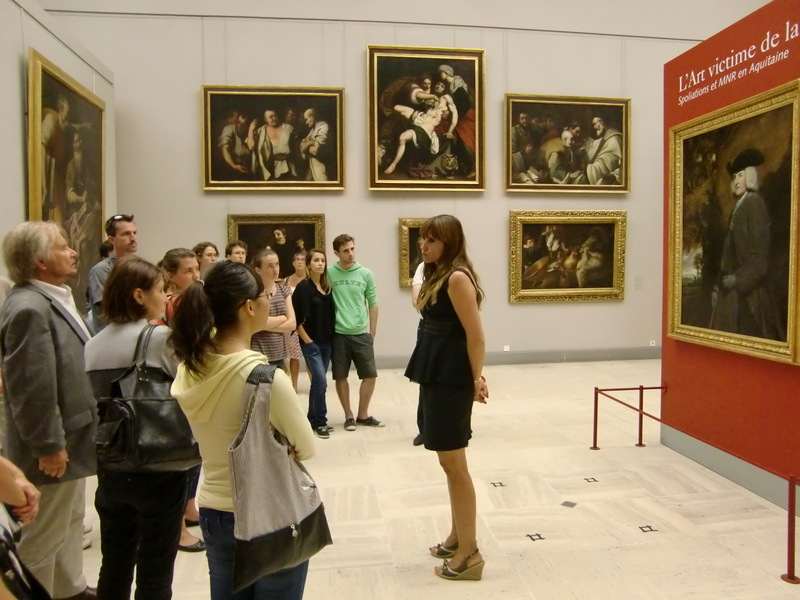 The training provides cues to understanding and exploiting the permanent collections and temporary exhibitions. Jean-Luc Destruhaut, teacher and museum employee, is available from Wednesday to Friday and can help you prepare your visit. For each temporary exhibition, he uploads teacher kits for the various tour themes onto the museum website and the Inspection Académique website (Tel: +33 (0)5 56 10 25 26 / e-mail: jl.destruhaut@mairie-bordeaux.fr). Isabelle Beccia, head of the cultural service, listens to your needs, accompanies you in your specific projects and helps you design personalized tours and activities. Presentation of collections, training and initiation to workshops offered by the museum. Fee : free, reservation required.